Why make a trip to France and learn French? A moderate climate all year long, beaches, snowy mountains, the most beautiful flowery villages contest, the “French lifestyle” …. are so many assets which attract every year 75 million tourists in France (figure communicated by the World Tourism Organization). Since the 1990s, France even became the 1st tourist destination in the world, in front of Spain, the United States and China (in number of tourists / year). The French historical heritage, with 35 protected areas in the UNESCO world heritage. Diversity of the French landscapes: sea, mountain, plains, forests, islands… In France we find the most fantastic ski slopes of the world in the Alps, as well as a world renowned surfing spots in the Landes area and paradise beaches in Corsica. Culture and local food: Basque, Breton or Corsican claim a singular culture, the Provençal cooking distinguishes itself from the Auvergne cooking, and every region brings out its culinary or craft specialties (cakes, pastries, candies, cheeses, typical dishes, arts and crafts). Every French department presents places of interest, which are easily reachable by road, railroad and airport networks. It is thus easy to leave for an excursion for a day or two from big cities. Before planning your journey in France, inquire about the cultural, sports or musical events which take place every year in France: regions and their specificities, French people, the customs and their reputation. Then prepare your stay thanks to the useful information. To understand the culture and the specificities of a country, the key is to master the language. Nowadays, The French language is spoken on 5 continents, by more than 200 million people. French is the most learnt foreign language after English and the 9th most spoken language in the world, with France and French-speaking countries (Canada, Switzerland, Belgium and the African continent). French is at the same time the working language and the official language of the UN, the European Union, the FIFA, UNESCO, NATO, the International Olympic Committee, the International Red Cross… “. French is also the language of culture, for cooking, fashion, luxury, theatre, visual arts, dance and architecture. And what a pleasure to speak this beautiful language, rich and melodious, which we often call the language of love! 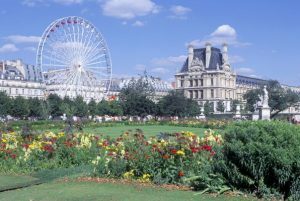 To come to France, either alone or with a group, requires some administrative formalities, which depend essentially on the country of origin and the duration of the stay. You will need documents of identification, a medical cover, public liability insurance, and repatriation insurance. – For European travelling in France, the National ID card or the Passport is enough, whatever the duration of the stay. These ID documents indeed allow the European to move freely in the Schengen area. It includes 26 members: Germany, Belgium, France, Luxembourg, Netherlands, Italy, Spain, Portugal, Greece, Austria, Denmark, Finland, Sweden, Estonia, Lithuania, Latvia, Hungary, Malta, Poland, Czech Republic, Slovakia, Iceland, Norway, and Liechtenstein. * The short-stay visa (or “Schengen visa “) for stays less than 3 months, which allow the holder to travel freely during 90 days in countries mentioned above. * The long-stay visa, when the duration is more than 3-months, for the academic programmes for example. Visa applications are made at the French Embassy or the Consulate in the country of origin of the participants. List of Embassies and French consulates abroad here. – For the European travelers, the individual health European Card covers medical expenses, and is compulsory for all the persons, whatever their age. To cover the possible damage which could be caused to the host family, at school, in the street, the traveler must be covered by a Civil/Public liability insurance, which allows to substitute itself for the person to financially compensate the damage caused. All the insurances offer this type of cover, sometimes included with the house insurance. It is compulsory and SILC requests a copy. Repatriation insurance insures the transport and the repatriation in case of disease or accident abroad. SILC set up agreements with AIG ASSIST, this insurance is included automatically in all the stays.